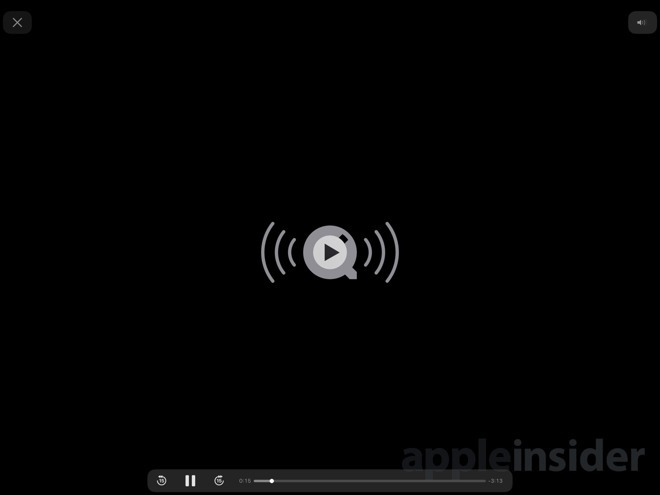 An unexpected feature of Apple's first iOS 11 developer beta is rudimentary support for FLAC audio playback, which may hint at broader compatibility coming in the final release. The option currently appears limited to the Files app for iPhone and iPad. 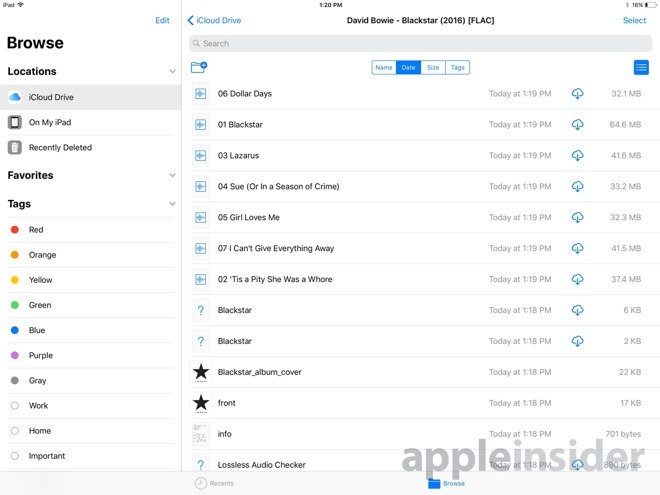 That may presage eventual support in the Music app, as well as in iTunes on desktops, which would be needed to automatically sync files. Apple doesn't use FLAC on Apple Music or the iTunes Store. FLAC is a lossless audio format, maximizing quality at the expense of storage and bandwidth. iOS and iTunes do support Apple Lossless, but while the format offers a smaller footprint, it isn't as commonplace. Some other iOS 11 enhancements include an overhauled Control Center, person-to-person Apple Pay transfers, and iPad-oriented upgrades like drag-and-drop, a Mac-style dock, and simpler multitasking. A public beta of iOS 11 should be available later this month. The finished software is due this fall, most likely ahead of new iPhones.